Despite all the new renovations for luxury Tasting Experiences, we will never exorcise the spirits that haunt the Benziger family’s original home. In honor of Halloween, we thought we would share some of these family “legends.” While, today, the old ranch home hosts Library Tastings and a Pinot Experience that Forbes calls one “one of the best tasting rooms in Napa and Sonoma”. In the past, it served as a guest house and while some will say they were just stories, many visitors will vehemently defend their supernatural experiences. Some swear to have seen a man wandering the long hallways. Don’t believe us? This ghost story has some history. 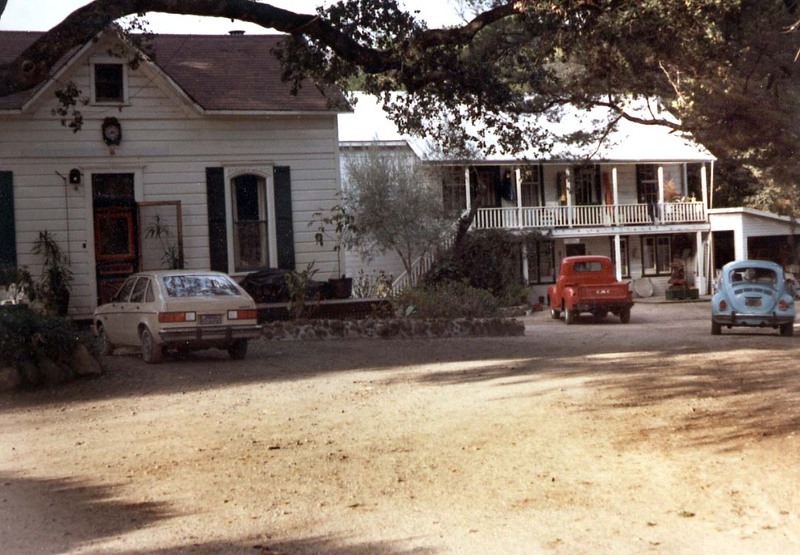 Glen Ellen was actually a ghost town for a period in the early 20th Century. Three factors played a role in the town’s abandonment. The 1906 Earthquake altered the Sonoma Valley’s geological plumbing and many of the hot springs attracting tourist were lost. Secondly, there was an outbreak of Phylloxera, which is a root insect that wiped out vines. And finally Prohibition halted the production of wine. The culmination of these events hit Glen Ellen hard and there was a mass exodus. The estate that is now Benziger family winery was once home to first owners, the Wegner Family. After these events, they locked up the estate and fled to San Francisco. The story is that one night after hearing that squatters were living in the ranch house, Mr. Wegner called the town Sheriff to investigate. He went to the property and was shot dead upon entering. Some believe that he is still warding off intruders. There are countless stories of paranormal activity in the Benziger’s family home. Our guests have seen doors open and close wildly in Bruno’s red room. Lights turn on by themselves. Thunderous footsteps running through the hall in the middle of the night. One guest said that he felt someone stepping on his feet. Some have seen the ghost reveal itself as a silhouette of a man in uniform. There is an account of a semi-transparent man in old-fashioned pajamas sitting on the edge of the bed. The energy immediately changes when you head up the stairs and some say they can feel the presence of an unseen being. Don’t believe us? You are welcome to join us for one of our wine experiences in our family’s original home, never mind the footsteps coming from upstairs. Hey, but enough being spooked with our haunted house. Halloween and wine belong together like Wolf Man and the moon. 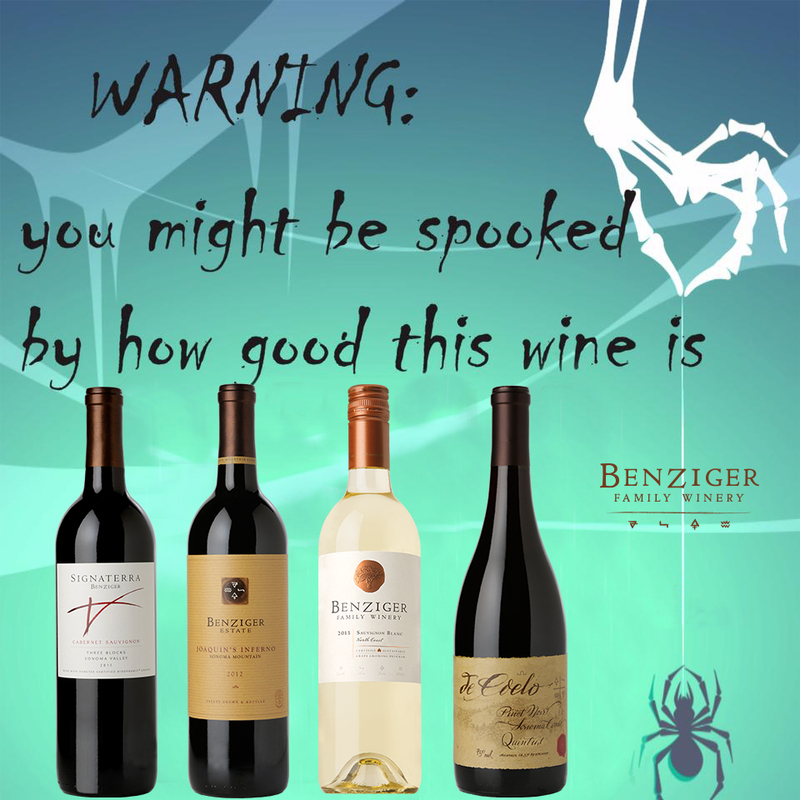 Wine is the spirit possessing your body that makes for a memorable, eerie All Hallows’ Eve. Pro-Tip: Choose a costume designed for wine sipping and Trick or Treating. Every King or Queen needs a chalice. It’s part of the costume! Or a bottle of wine will calm the nerves while enjoying a cozy night glued to a scary movie. Here are recommendations for some Halloween Candy and Wine Pairings. We wish you all a fun and safe Halloween!